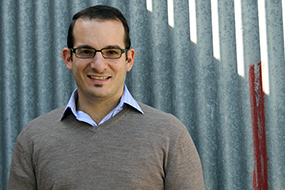 Daniel Manno, as Director of the Adelaide & Mildura offices, oversees Energy Architecture projects from their inception to completion. He takes a lead role in them and his experience in and commitment to sustainable, functional and energy efficient design solutions is complemented by his ability to deliver numerous projects of diverse scale and complexity. Daniel is an experienced architect whose principles of using natural resources and processes to create beautiful, sustainable, and highly functional spaces for his clients.